Kids ask the most amazing questions about God--"and they want answers. Be prepared to handle questions such as, Is there a McDonald's in heaven? What do angels really look like? Did Eve have a belly button? The Amazing Questions Kids Ask series arms parents with thoughtful answers to questions kids ask about God, heaven, and the Bible. Written in kid friendly language, each book contains fun illustrations and handy verse references. A must-have reference tool for every parent and Sunday school teacher. 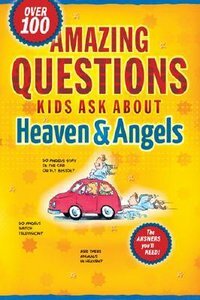 About "Amazing Questions Kids Ask About Heaven and Angels"